The 1980s were a good decade for all-girl bands what with The Go Go’s, The Bangles, Bananarama, and The Pointer Sisters but only one of those groups had a hit that encouraged us to “Walk Like an Egyptian.” Founded in 1981 by lead guitarist Vicki Peterson and originally named “The Bangs,” the lineup has stayed pretty consistent over the years with drummer Debbi Peterson, rhythm guitarist Susanna Hoffs, and bassist Annette Silinskas (who’s returned after stints by Michael Steele and Abby Travis). Together, their first album All Over the Place (1984) scored a minor hit with “Hero Takes a Fall.” Soon thereafter they had five top ten songs. A poppy intro, a plucky riff, and a double-tracked Hoffs on vocals were our intro to the Bangles. The song concerns a guy who, after impressing a girl, won’t return her calls. Some hero! In light of this behavior, Hoffs sings she won’t feel too bad about his comeuppance. Sensible harmonies, a bass break, and a guitar solo ending make the track unique, something the Brits were quick to recognize as the song cracked the Top 40 in the UK. One of five songs on their Bangles EP (proudly proclaiming a name changed necessitated by legal disputes), this tune is reminiscent of the Beatles with its ringing 7th-chords and well-done harmonies. Anyone else get a “Tax Man” vibe from the bass line and stabby chords? The lyrics relate how they don’t like to wait in line but end up doing so anyway. The lead vocals by Debbie Peterson remind us Hoffs isn’t the only one who can really sing. From All Over the Place, “Going Down to Liverpool” is a beautiful composition with a simple bass line, chiming guitars, and some haunting vocals — again led by Debbie. The song conveys a longing to return to that famous British port (which makes sense when you learn that the song was written by Kimberly Rew of Katrina and the Waves and Robyn Hitchcock’s Soft Boys). Their first million-selling single showcases a cooperative spirit as multiple band members take turns at the mic, ending with Susanna Hoffs. Released on their LP Different Light, the song’s atypical orchestrations features gongs, bells, prominent whistling, and a distorted guitar. In the classic video, Susanna Hoffs’ dramatic eye movements were purportedly her way of combatting nervousness by locking eyes with different audience members. Also, from Different Light, this Jules Shear number was originally written in first person and released the year before. 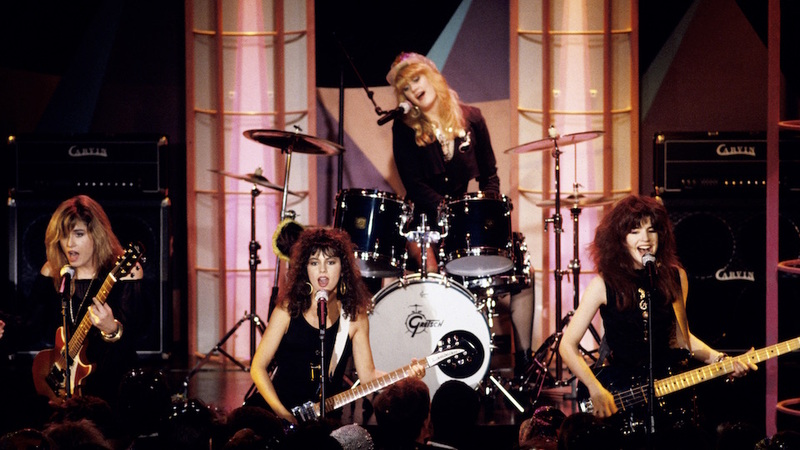 The Bangles converted it to third person — a wise move considering the new version reached number 29 on the Billboard charts in the US, UK and Australia. Featuring Hoffs on lead vocals, the reworked words feel less like they’re about a man who can’t understand a woman and more about a woman who, well, doesn’t know what she wants. Written by none other than Prince, this song has become as powerful a pop culture reference to our dread of the beginning of the work week as any comic strip featuring that grumpy cat Garfield. Originally intended for Apollonia, “Manic Monday” became the group’s first huge hit, climbing as high as number two. Fun fact: Although not credited, Prince actually plays the synth here. From the 1986 album Everything comes this chart-topper written by Hoffs with Billy Steinberg (“True Colors”) and Tom Kelly ( “Fire and Ice”). By reaching number one, this gorgeous ballad made the Bangles the third all-female band to score multiple number one songs (along with the Supremes and the Shirelles). The song was inspired by a visit to Graceland but its romantic description of being madly in love defies geographical constraints. This is definitely an intentional homage to Simon and Garfunkel considering the Bangles release is nearly identical to the original with the exception of some guitar distortion and the dropping of the bridge and a lyric about “vodka and lime.” Otherwise, all the harmonies are there as are the driving drum-kick, and even the brass work. This version surpassed its predecessor, peaking at number two on the Billboard Hot 100 charts. As tributes go, it’s a winner. “From the 1986 album Everything”… oops, actually it was 1988. Which leaves the Bangles as the greatest female band of all time.